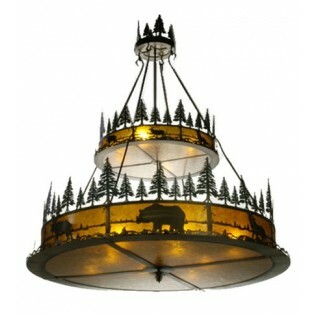 Woodland animals and tall pine trees circle lighted sections of this handsome 2 Tier Wildlife Rustic Chandelier. Finished in antique copper with green pine trees and amber mica glass. Made in the USA. 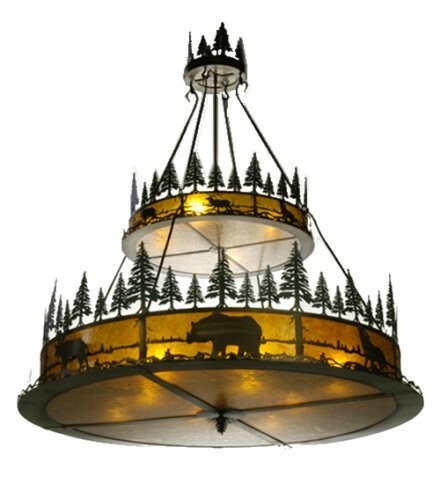 Woodland animals and tall pine trees circle lighted sections of this handsome 2 Tier Wildlife Rustic Chandelier. Finished in antique copper with green pine trees and amber mica glass.